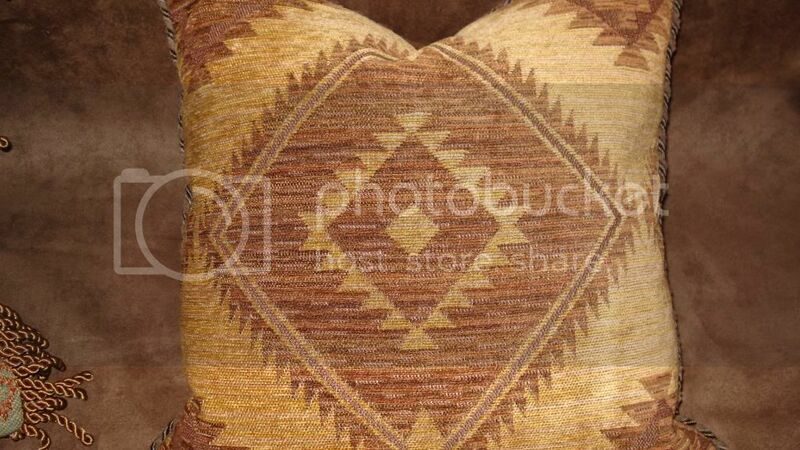 Navajo Inspired Chenille Pillow. 18x18. Chenille is in tones of saddle, dark brown,and rich gold. Back is faux distressed leather. Chenille cording finishes this handsome design. Dry clean. Zipper closure. Handmade in New Mexico.